Albany Street taken from Baltic Street looking east towards Dunn Street. The red railings is the site where Anderson Mill stood and up at the school playground there was the janitor's red sandstone house which backed onto the Mill. I remember seeing the Mill on fire....what a blaze! Albany Street from Dunn Street looking west towards Baltic Street. You can see part of the schools new extension which was added in the seventies. High rise Ruby Street flats in the background. 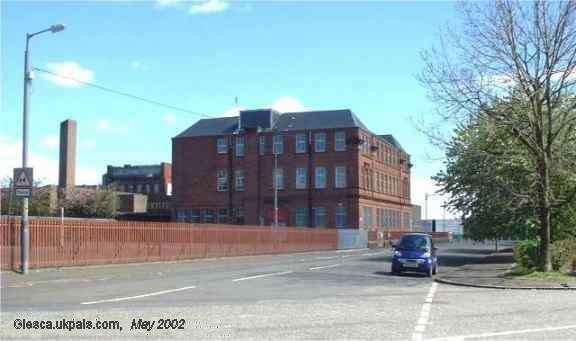 "Great site memories came flooding back I lived at 56 Albany Street until I was nine, best days of my life. I still remember the tram depot, and the washouse in Ruby street. But most of all I can still remember the names of all the families that lived in the street even now." 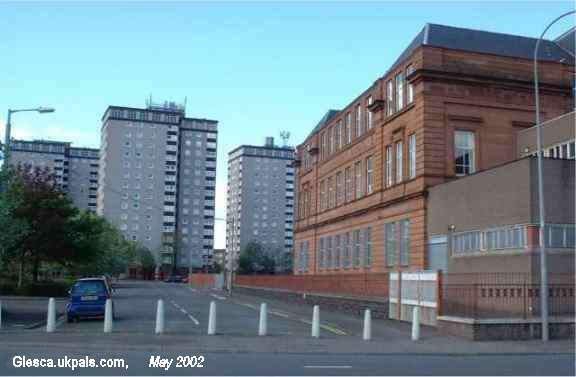 Webmaster : the houses where Jim lived were tenements directly opposite the school just at and beyond where my blue car is. The tram depot area has been replaced with high rise flats / houses.